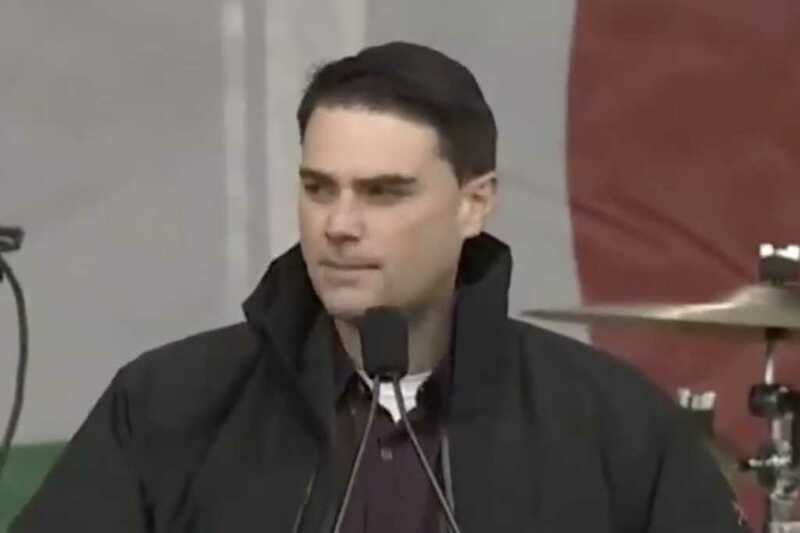 The country’s largest Christian university has reversed course, inviting conservative firebrand Ben Shapiro to speak on campus, but the well-known author is declining the Arizona college’s invite. On Tuesday, administrators at the Phoenix-based Grand Canyon University invited Shapiro to speak on campus after previously cancelling his not-yet-scheduled appearance through an event that was initially to be arranged by the Young America’s Foundation. The college turned away from its previous decision after facing intense backlash from a number of prominent figures, including right-wing radio host Hugh Hewitt, former Fox News and NBC News anchor Megyn Kelly and Liberty University President Jerry Falwell, Jr., a leading evangelical supporter of President Donald Trump. It should be noted Liberty was ranked the country’s largest Christian university until GCU eclipsed the Lynchburg, Virginia-based college last year, according to the Religion News Service. On Monday, YAF spokesman Spencer Brown and GCU YAF chapter members met with university officials. The group ultimately decided to release a joint statement in which it would be announced the school decided to invite Shapiro to speak on the campus. Following the meeting, YAF drafted a statement and submitted it to college administrators for edits and approval. However, according to The Daily Wire, the website for which Shapiro serves as editor-in-chief, GCU heavily edited YAF’s drafted statement, even adding quotes from Brown that placed the onus on YAF for Shapiro’s cancelled appearance. The GCU-edited version of the statement suggested Brown and YAF members regretted not seeking pre-approval for Shapiro’s slated appearance from GCU administrators. GCU spokesman Bob Romantic claimed college officials tried to wait for YAF, but argued Brown delayed the process for YAF’s benefit while continuing to disparage the Christian university online. Regardless, Shapiro turned down GCU’s invitation Wednesday, citing the school’s unwillingness to work with YAF to arrange his visit. According to The Arizona Republic, GCU officials said they did not “fully understand” Shapiro’s tweet, arguing the college made clear YAF students and GCU would both be involved in the potential speaking engagement. The university said GCU YAF would plan and coordinate the event while the GCU logistics team would provide any assistance necessary for Shapiro’s address. The school also said it would waive any additional security costs Shapiro’s appearance might require. At this point, it is unclear if Shapiro will speak at GCU.